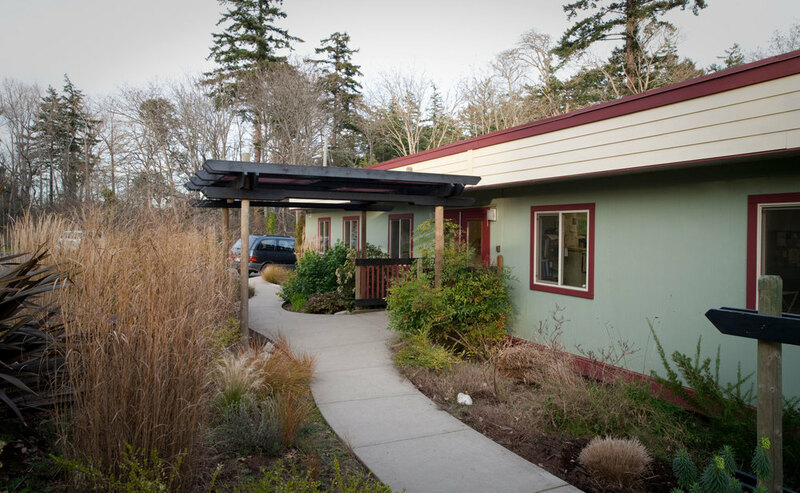 Arbutus Grove Children’s Centre has a long history of providing outstanding early learning programs to the Victoria community. Mrs. Roberta Emery, a pioneer of early childhood education in Victoria, established Goosey Gander Kindergarten in 1959. Upon Mrs. Emery’s retirement in 1981, Linda Coates and Lynn Young, two early childhood educators working at the school, assumed responsibility for the school and its programming. In 2004 we moved to our current 1.4 acre site and re-opened as Arbutus Grove Children's Centre. Our centre offers full and half day early learning programs for 3 and 4 year old children. We also offer an an after- school program for kindergarten & grade 1 students attending Frank Hobbs Elementary. Our educators provide stimulating and engaging experiences that nurture each child’s sense of wonder and innate desire to learn through play, exploration, discovery and creative expression. Self-directed play promotes growth and development in ways that cannot be achieved through the traditional approach of teaching pre-academic skills. Our programs recognize the diversity of our children and seeks to meet the individual needs of each child’s unique development level and learning style. Learning is enhanced by the expertise and collaboration of our educators who provide developmentally appropriate activities that nurture each child’s natural curiosity. Curiosity – We strive to nurture each child’s sense of wonder through play and interaction. Diversity – Each child is unique and we value their diverse learning styles, families, cultures and communities. Expertise - Educators are valued for their knowledge and commitment to child-centered early childhood education. Fun – Children learn best in a safe, supportive, respectful, non-competitive and accepting atmosphere. Play-oriented Learning – Children learn in stimulating environments. We provide educational experiences that engage all their senses of the world around them. Our exceptional early learning programs are made possible by the skill and dedication of our team of educators. All our teachers are full certified Early Childhood Educators with current first aid training. Our Educators support each other, share knowledge and ideas while providing mentorship to new staff. It's a caring and professional workplace that places the children first. Our centre has four unique rooms and a large outdoor playground in a natural setting. Each distinct area provides unique learning opportunities with a wide array of different materials and activities that enhance all areas of early childhood development and learning. A group of children and their two educators will move to the different areas, giving them a chance to leave one room and enter another completely new world in the next room.